The Funny Colonel and 500 Chicks! 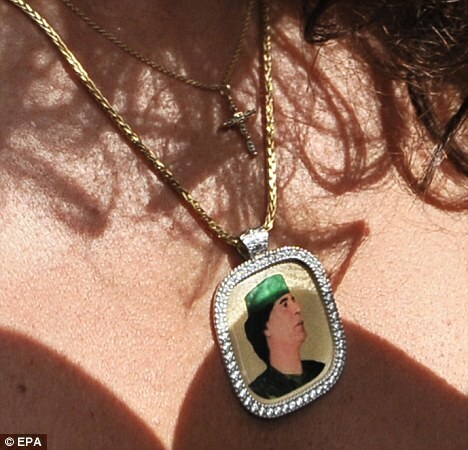 Libyan leader Colonel Muammar Gaddafi hosted another Islam conversion party attended by 500 glamorous women during the first day of an official visit to Italy. 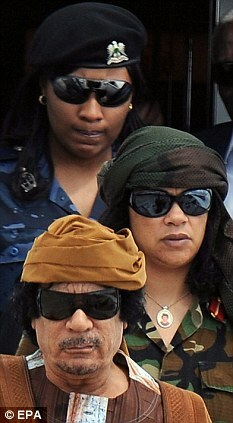 Gaddafi was the only man at the event – apart from security officers who were kept outside – while the women who were invited to take part were all asked to ‘dress demurely’. Three women were said to have undergone ‘spontaneous conversions’, while others walked out in disgust saying they could ‘not stand to hear such rubbish’. 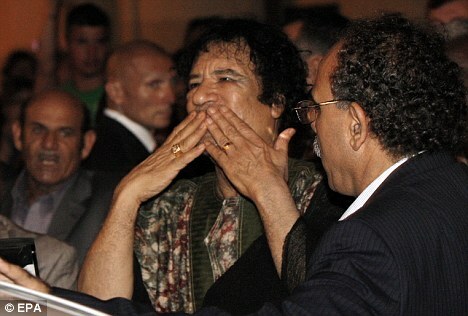 The event, at the Libyan Academy in Rome, comes nine months after Gaddafi hosted two similar evenings at the official residence of the Libyan ambassador in Rome Abdulhafad Gaddur. At those events the women were paid 50 euros, but for last night’s party and another planned for later this evening the women were given 70 euros – on condition that they did not speak to the media. 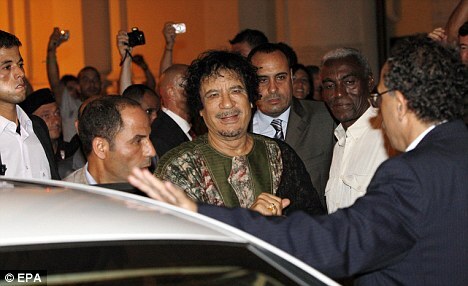 A fleet of coaches with the curtains drawn had pulled up outside the Academy just hours after Gaddafi had flown in from Tripoli. 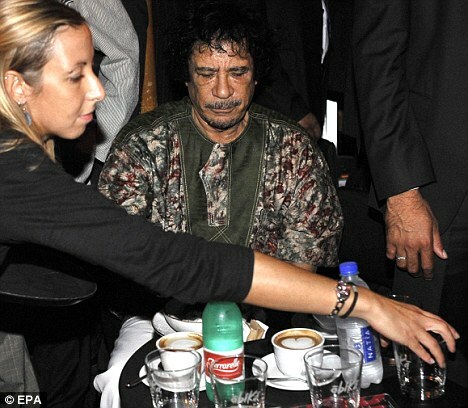 Student Sara Perugini, 19, who was at the event, said: ‘Colonel Gaddafi was very pleasant and charming. He spoke to us about Islam and the Koran and he gave all of us a copy. ‘He told us that we should convert to Islam and that Mohammad was the last of the prophets. Three women did go through what he described as a spontaneous conversion. ‘They left wearing the traditional chador. We were paid 70 euros although I haven’t actually seen the money yet, but we were told not to talk to the media so I probably won’t see anything. ‘I know some women did walk out saying they were not prepared to hear such rubbish but as far as I know there were only a couple. ‘They said they didn’t agree with Gaddafi coming to Italy and telling them to convert and marry Muslims. Gaddafi also flew in 30 Berber horses which will give a display this evening at a military parade ground in Rome attended by Prime Minister Silvio Berlusconi. The two-day visit is to mark the two-year anniversary of a ‘pact of friendship’ signed between Gaddafi and Berlusconi which has promoted extensive Italian business development in Libya. Gaddafi has also erected a tent for his use while he is in Rome, although this time it is in the grounds of the ambassador’s residence.